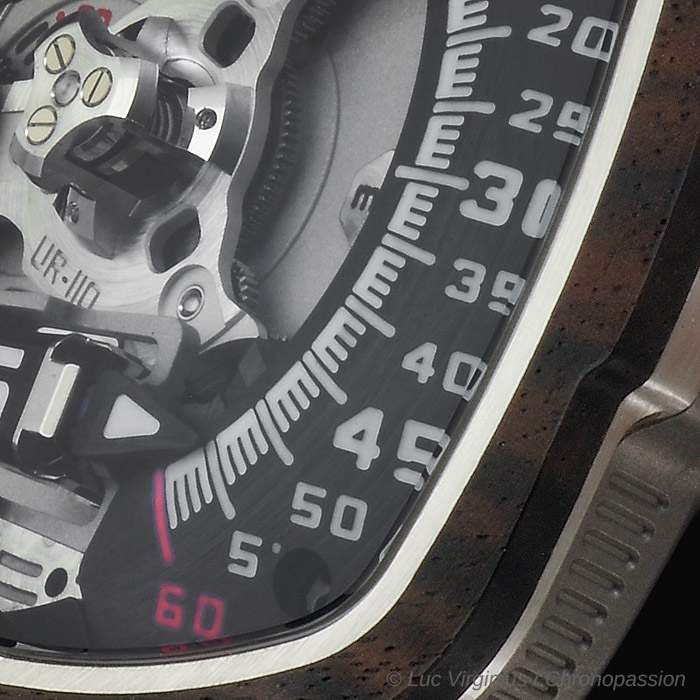 In the UR-110 “Eastwood”, the time is always shown on the right side of the watch. 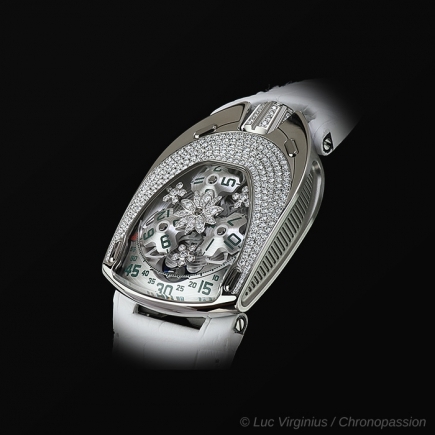 Three-hour satellites follow a vertically arced line, graded from 0 to 60 minutes, in a downward motion. 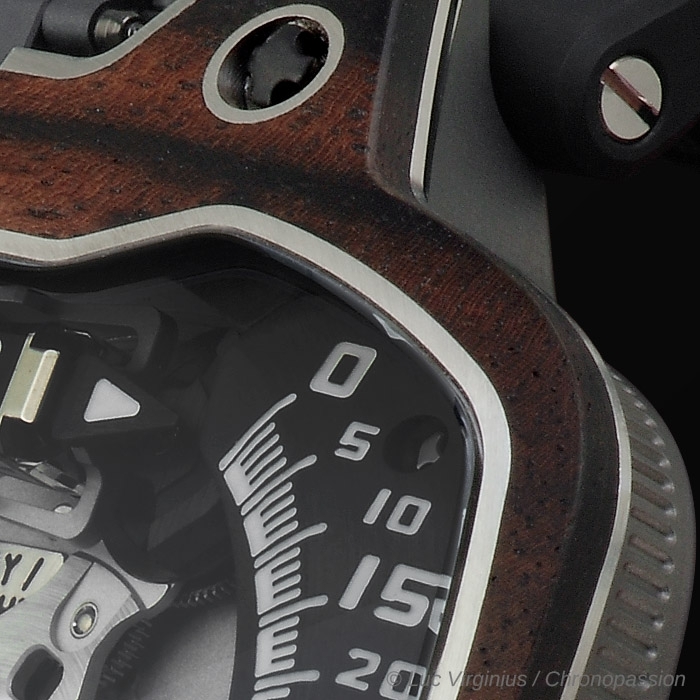 Planetary gearing keeps the satellites and their arrow-shaped “torpedoes” in parallel formation as they take turns to indicate the time as they pass the 60-minute track. 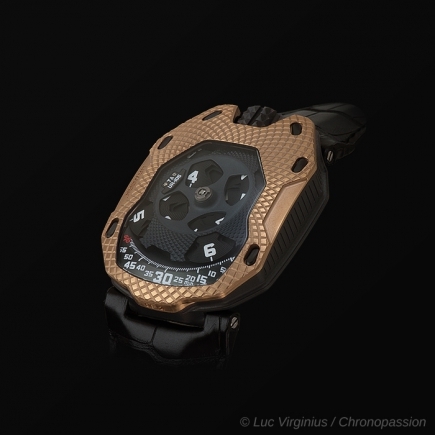 - The three counter-rotating hour modules – each comprising an hour satellite, minute hand and counterbalance – are each mounted on a planetary gear. 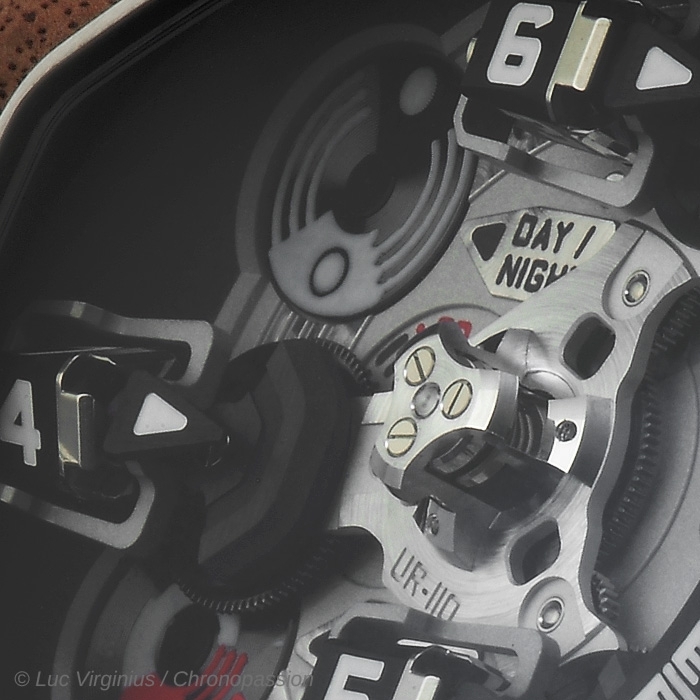 These three modules are in constant counter-rotation to counter the direction of rotation of the central carousel. 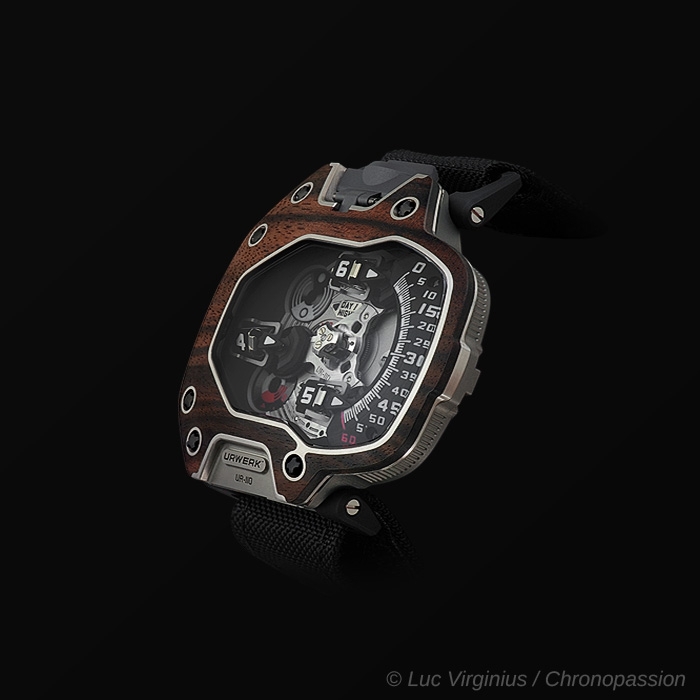 The UR-110’s technology can be appreciated through the large panoramic sapphire crystal. 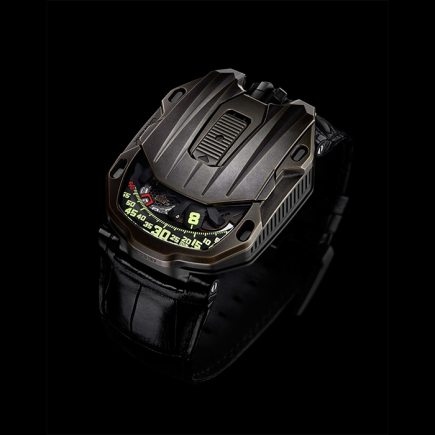 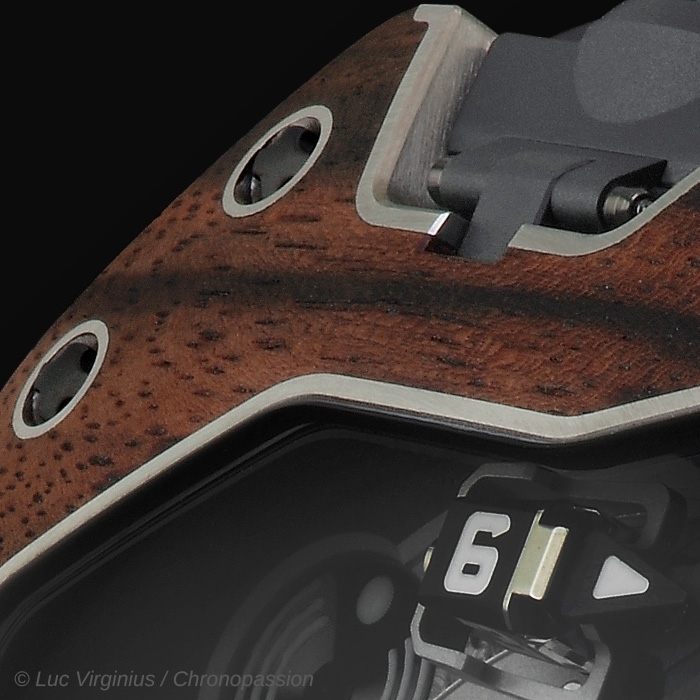 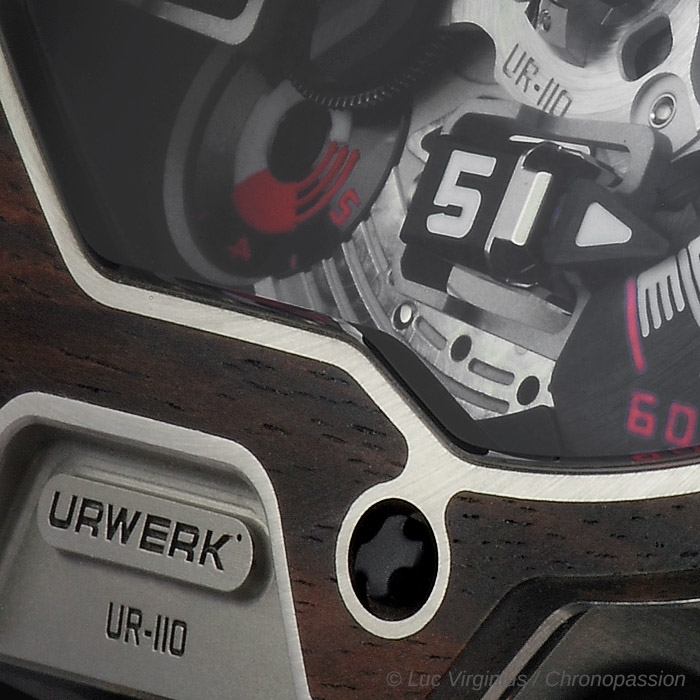 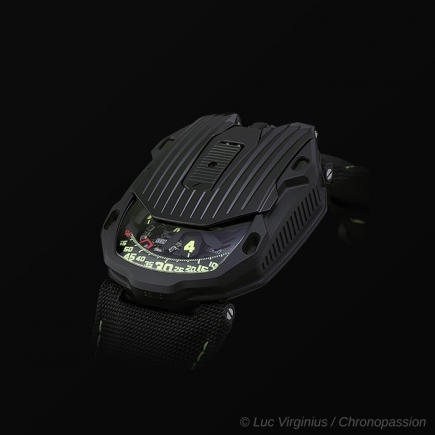 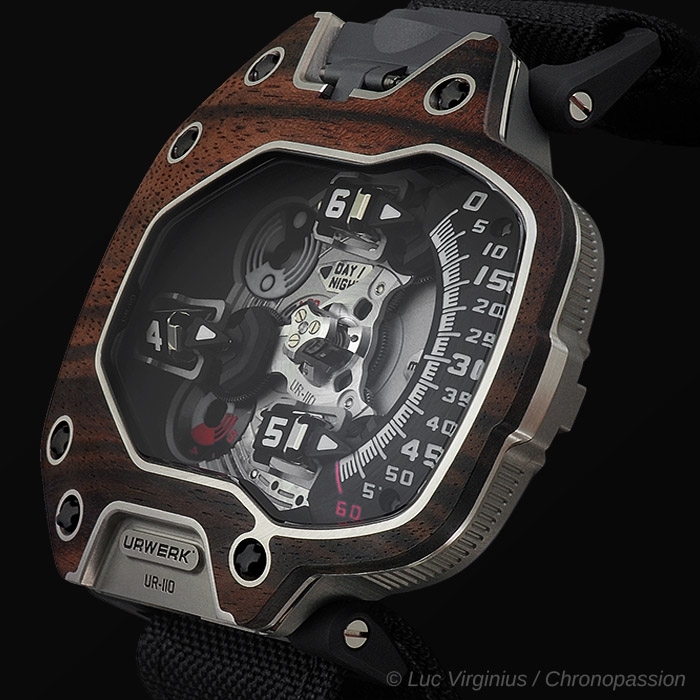 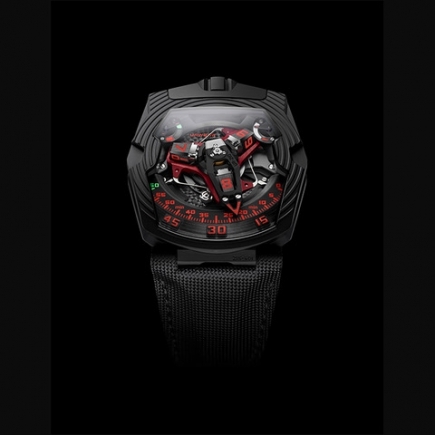 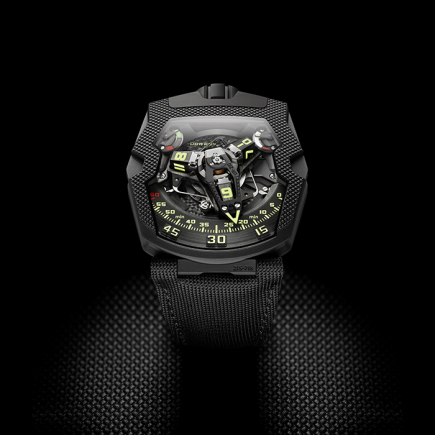 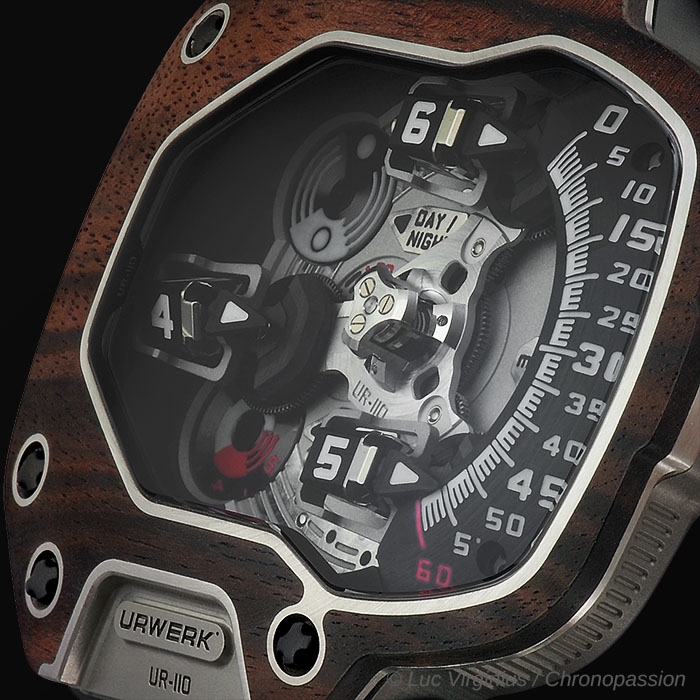 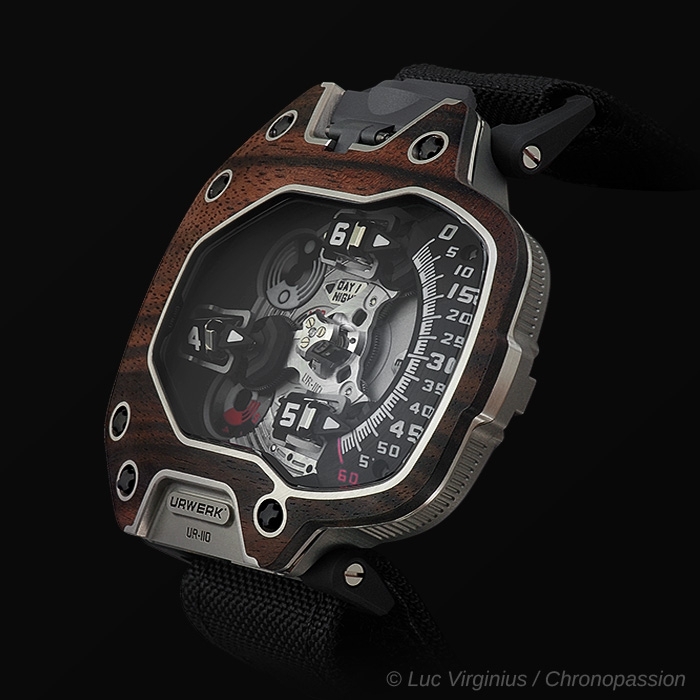 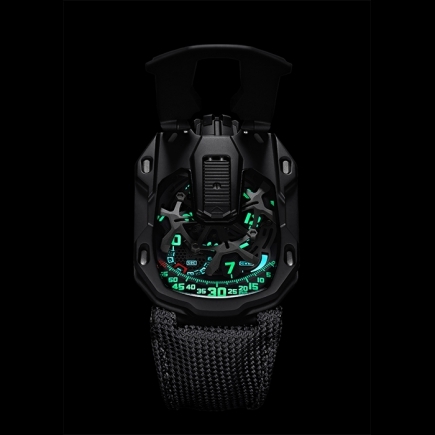 As well as indicating the hours and minutes, the UR-110 “EastWood” also features a Control Board on the dial side with indicators for “Day/Night” and "Oil Change" – URWERK's service interval display – as well as small seconds on a subdial. 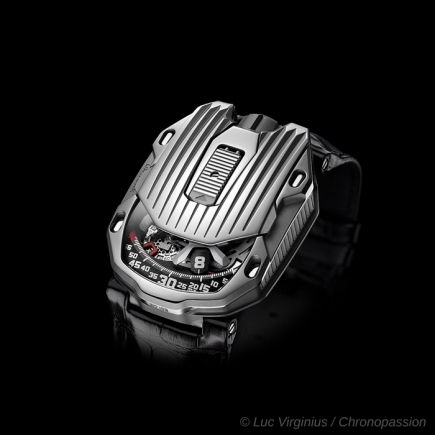 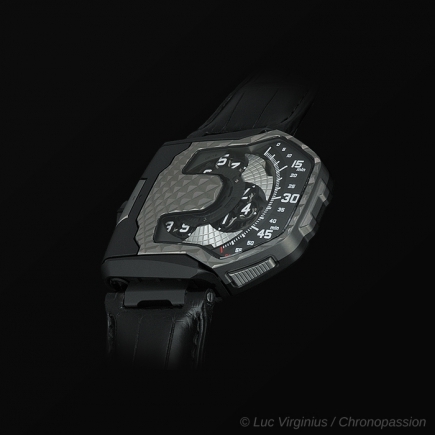 Turning the watch over, the titanium back encloses the innovative automatic winding system regulated by dual turbines.